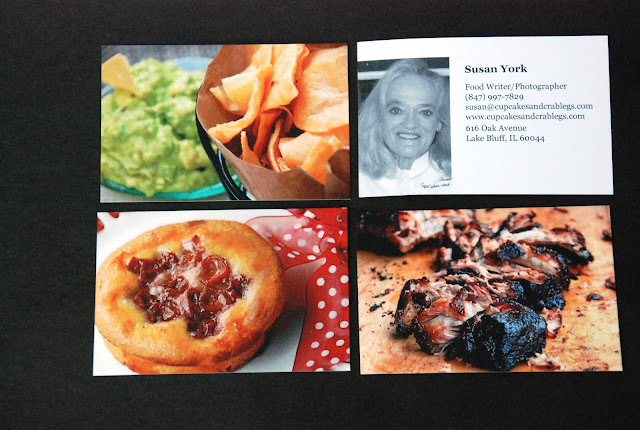 I got 50 business cards with 50 of my best food photos on them. Can't tell you how fun it has been to hand a card to a chef with the food that they cooked on it. If you want to start up a great conversation, check out their link.